For more than 30 years, Keytrak have been providing state of the art security solutions for customers across Manchester and the whole of the North West. One of our key areas of expertise is in the supply, installation, repair, and maintenance of door entry systems for commercial and domestic properties. 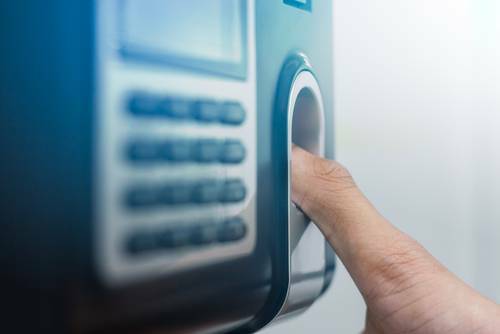 Offering an extensive range of system types, including staff door entry systems, audio door entry systems and video door entry systems, we can offer your a completely reliable solution tailored to your security needs. 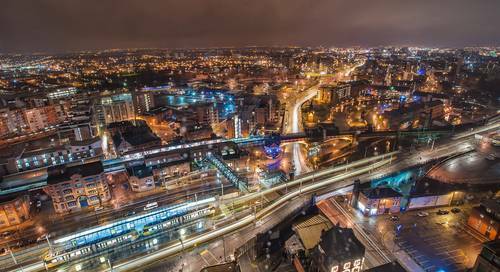 As the second largest metropolitan area in the UK, Manchester unsurprisingly experiences a high crime rate, with anti-social behaviour being the most prominent form of criminal activity between 2015 and 2016. With this in mind, it is vital that you keep your business or domestic property safe and secure, especially if situated in the centre of the bustling city. The good news is that Keytrak can help to achieve exactly this. Although we are Cheshire based, we have a team of highly trained engineers on hand who specialise specifically in the installation and repair of door entry systems in Manchester. As one of the UK’s leading security and locksmith specialists, we also have a range of systems to choose from to satisfy contemporary design requirements and individual requirements. From GSM systems and biometric systems, to wireless and wired systems, we guarantee to have the perfect solution for your needs and budget. All our systems are also available with additional add-ons such as option of keypads, proximity readers and electric locks. So, if you’re looking for a reliable and seamless way of implementing simple and controlled entry for visitors, residents and/or staff, look no further than Keytrak. At Keytrak we have installed door entry systems at numerous properties in Manchester, Salford, Oldham and Trafford and other surrounding areas during our 30 plus years of trading. We are a quality assured company with ISO 9002 accreditation, and every member of our team are trained to the highest possible standards. So, if you’re looking to upgrade your security with a door entry system in Manchester, please do not hesitate to contact us. We offer solutions to both commercial and residential customers and we can also advise you on which option would best suit your needs through a free survey.